Wow! It's hard to believe that the 2015 market season is already coming to a close. With each new year, we look forward to our whirlwind market adventures, traveling to Atlanta then Dallas and finally Las Vegas. It's a thrilling way to kick off the new year, yet it seems like the show season is over before we even know it. Over the past six months, we've been busy developing over 400 new Kalalou products and market season is our chance to finally unveil this collection to the world. It's always exciting to see which items will rise to the top as new Kalalou "classics," and this year is no different. Included in the group of best-sellers are the Ceramic Gold Brick Bank, our Recycled Ammunition Canisters, and the Haitian-made Bam Jam. Our team studies this list in order to learn what items work and decide what types of products we should expand upon. For a full list of market-proven top sellers from 2015, contact your Kalalou sales representative. We look at each show as a new opportunity for us to get to know our customers a little better while listening to your feedback and considering new ways to improve the Kalalou line. So, we'd like to say a big THANK YOU to everyone who came out to a Kalalou showroom this January, we truly could not do any of this without you! 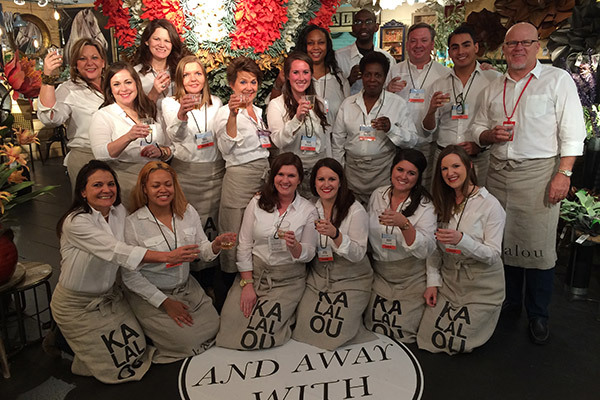 It really was a fantastic show season and there has never been a better time to be a part of the Kalalou family, cheers!